This year marks an exciting milestone for the Peter M. Winter Institute for Simulation, Education and Research (WISER). WISER celebrates 20 years of training and patient safety excellence! 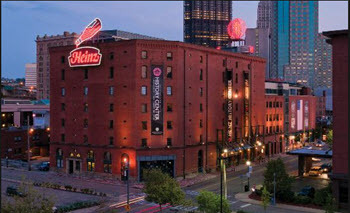 As we embark on our journey to continue to revolutionize the future of WISER, we will be hosting a celebration and fundraiser at the Senator John Heinz History Center on the evening off March 26th, 2015. This event will be a unique, hands-on opportunity to showcase the outstanding advancements that WISER has made throughout the past 20 years. Attendees will be able to explore some of the innovative educational training simulators that our healthcare students and practicing professionals have used to improve patient safety at our main campus in Oakland and UPMC hospitals. Included in the evening's events, guests of the WISER 20th Celebration will enjoy cocktails, hors d'oeuvres, and music by local musicians Joe Negri and the Max Leake Trio. WISER will also reveal our plans for the future as we forge new and innovative pathways into surgical simulation, ultrasound technology, IT infrastructure, and fellowship opportunities. For more information on this event, please visit our website at: http://www.wiser.pitt.edu/wiser20th We look forward to seeing you on March 26th!